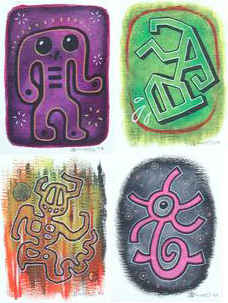 Four little paintings (approx. 4" x 5" or 4" x 6") sold as a set. Acrylic & ink on 140 lb. archival watercolor paper.